In the past 12 months I’ve been involved in several organisation wide leadership programmes as well as teaching a course on Leading Strategy for the International Masters in Humanitarian Affairs, Fordham University. It never ceases to amaze me how well intentioned, yet how poorly some strategic change process are managed. So, I’m reposting this 2014 blog as a reference for two to follow. In the second, I complement these mistakes with Six lessons in introducing organisational change in non-profits. ; the third explores the responsibilities of leading strategy. At any point in time one or more of my clients is in some kind of change process. Despite the positive intention for the change far too many fail dismally. One study by KPMG indicated that around 50% end in failure. Of course strategic direction can be created by a senior representative group, but it is unwise for that group to assume that they uniquely have the context evaluation and broader view and creativity to independently design a change process for an organisation. Senior management teams are often amazed by the insightful contributions made by lower level employees. Where possible involve people who will be affected by the change. This means within the ranks and levels of an organisation and across any geographies. Do not rave about the location, food and wine. Return to the office with newly acquired group slogans or in-jokes that exclude those not present. Present outcomes as a ‘fait-à-complit’ without explanation of the context, why and hows. Do not offer similar events to others in the department, sub-teams or sub groups. 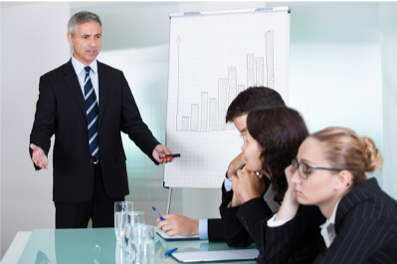 Managers return from a meeting having invested great energy and effort into agreeing a working charter for their team, or working principles for an entire department, and then do not share these with the rest of the team. The link of communication is frequently broken when managers do not have systemic processes for communicating discussions and decisions with their management colleagues. I recently worked with a team where people were asked to rank their performance against the 5 annual key priorities, and many asked, ‘What 5 strategic priorities?’ Even worse was the example of staff being evaluated against working principles of which they were unaware!! A group that attends a strategic planning or change event often gets very worked up, energetic and passionate about the process and outcome. Energy affects everything we do. We can bring positive and exciting energy to our team by being passionate about what we do, or what we are attempting to achieve. Our emotions are infectious; Quantum Science shows that we are made up of units of vibrating energy that interact with each other. All we have to do is infect our people with our passion! In a recent strategic retreat with a global board we practiced and video recorded every persons prepared presentation to disseminate back to their regions and representatives the passion, commitment, as well as the key messages from the meeting. It was rated one of the best moments of the three-day event. In any change process, the day-to-day work continues. It is very easy for people to ignore new ways of doing because they are so consumed by these routine tasks. Buying in to change means understanding the ‘why’, longer term vision and impact. People need to be reminded of the need for the change and the ultimate prize in achieving the goal. If they simply feel like the proverbial cog in the wheel they may not understand and therefore not comply with the new changes. Some studies indicate that any change process is likely to demand up to 30% more work effort in order to achieve the learning curve and be efficiently effective in the new processes. Key priorities for successful managers are employee engagement, health and wellbeing. If we aren’t contributing to the emotional, physical and psychological health and wellbeing of our team then we are unlikely to achieve transformation. People cannot be expected to work 130% for long periods of time without some consequences to them and to the intended change initiative. Often times the failure for a change initiative cannot be blamed on staff resistance, it is clearly the fault of managers who do not implement the changes or senior staff who do not model required changed behaviours and practices. This is particularly true of performance evaluation processes. Middle and first line managers are often the brunt of complaints around the failure of compliance to performance management systems; yet in a high percentage of cases these managers themselves rarely receive appropriate informal or formal feedback from their managers. If managing teams and developing people is a critical management responsibility, it should be a formal part of a managers priority goals each year.